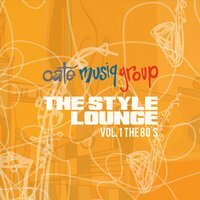 "The Style Lounge" includes 10 instrumentals track featuring Sax, Piano & Trumpet with 4 special vocal tracks. Songs include “Sailing” (Christopher Cross), “Here Comes The Rain Again” (Eurythmics), “Human Nature” (Michael Jackson) “Africa” (Toto), “Steppin Out” (Joe Jackson) “What You Won’t Do For Love” (Bobby Caldwell) “Time After Time” (Cyndi Lauper) and many more. Working with some of today's top music industry sidemen Caté has created a smoothed-out masterpiece. Featuring musicians from the bands of Michael Buble, Prince, Herbie Hancock, Regina Specktor, Jay-Z, Clark Terry, Marcus Miller, Christina McBride & Maceo Parker. Vocalist include UK Soulman Fil Straughan & #1 selling artist Nina Vidal.